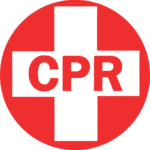 CPR Arizona courses are designed and presented for the work place, community, professional rescuers or health care providers. They can be mixed and matched to meet your needs. They can be provided at your location and on your schedule. All courses are taught by a certified instructor. You choose the program provider that meets your needs and/or requirements. Providers are the American Heart Association (AHA), or the American Safety and health Institute (ASHI). CPR Arizona training complements adult and youth learning styles with visual presentation and hands on practice. These courses are for employees, students, parents, care givers and those who deal with the public, children and/or elderly, or just want to be prepared for emergencies and be able to help. The Basic CPR / Automated External Defibrillator (AED) course prepares the general public with the knowledge and skills necessary to provide basic care for life threatening respiratory or cardiac emergencies until advanced medical personnel arrive. 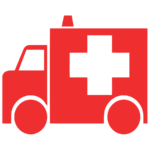 The Professional / BLS / Automated External Defibrillator (AED) rescuer/health care provider course is a designed for professionals in emergency preparedness and response including EMS, law enforcement and medical personnel. 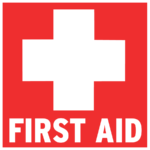 The First Aid training course prepares the individual with the knowledge and important skills necessary to recognize and provide basic care for minor injuries and sudden illnesses until advanced medical personnel arrives and takes over. View our class schedule or contact us to set up your CPR training today!